London: Faber & Faber, c2007. For this last Sunday of March, dangling here at the very end of the month, it's time for a novel. Here's one I first read back in 2010 -- if that's possible that it was so long ago! I adore the cover, and it's quite suitable as it follows two school friends who grow into adulthood, Sally & Rowena, and what happens when Sally wins a needlework prize and is invited to present a lecture at an embroidery conference. They attend high school in Sussex in the 70s, and are inseparable until the age of fifteen when an unforgivable betrayal comes between them. The story follows each of them until they meet again, by chance, in Scotland. Sally was not the best student, ending up leaving school and focusing on needlework which she had discovered a strange facility for while in Domestic Science classes with Rowena. Rowena, on the other hand, is quite brilliant, but makes the fatal error of getting pregnant at fifteen. She thus also leaves school, but later makes something of herself, becoming a French translator and marrying a nice Canadian man she meets at a conference. At the opening of the story, Sally has won a major needlework prize and is heading off to a conference in Scotland where she is to be a key speaker, the very thought of which terrifies her. The story follows each of them in alternating chapters, allowing us a look at what exactly happened to these friends, from each point of view. Sally is really the main character, and I was absorbed in her story, wishing I could actually take a look at her bohemian, 70s style embroideries. A particularly nice touch was Rowena's opinion of the woman in the airport before she recognized her as Sally; as teens Sally had always thought of herself as awkward and overlarge, as compared to the pretty and witty Rowena. But when Rowena sees her as a grown woman, she wistfully thinks that she would like to be as colourful and artistic-looking as the woman lugging the portfolio. 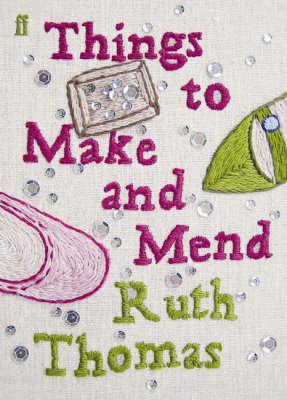 The joy of this book was in the details of Sally and Rowena's lives, the way the little things of being a teenager were brought out, including the hours they suffered in Miss Button's needlework class together. The day to day living of being adults is also finely drawn; for example, the way Sally and her coworkers at a tailors shop form a kind of family while knowing that if one of them left they would disappear quietly and not keep in touch. Or the way in which Rowena has to acknowledge that her son, who is moving to America, will be distant from her from that moment on in both geographical and emotional terms. The small eccentricities of many characters who appear briefly through the story create a full backdrop, one in which it feels that a whole world is busily moving on and we are only catching glimpses of it. his reasons for loving her (she tried not to wonder about this too much). This is reflective of Sally's need to keep everything organized, a way to keep hold of details, something she finds difficult. 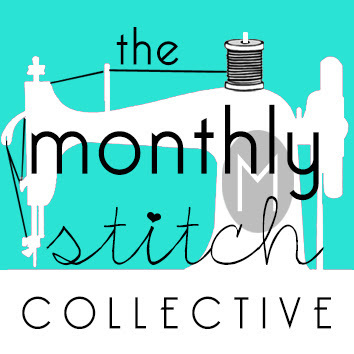 As she says near the beginning, she thinks she has become a needlewoman because "There is nothing more tangible than threads sewn through cloth. She is happiest with something that is stitched down, not given the chance to slip or unravel or change." The two girls are well drawn, with clear personalities as teenagers, then as adults both sounding a bit isolated, a bit lost. It is clear they really need to cross paths once again. Unfortunately there were a couple of flaws which I did find a bit jarring. The listing technique which I so enjoyed in Sally's chapters appears later in one of Rowena's. This seemed to be an ill fit, as first off it doesn't suit Rowena's character or first person narrative, and secondly it blurs the distinction between Sally and Rowena too much, making the author too apparent. Still, that did occur only once. The other problem I had was that the whole book was leading up the reconciliation of these two former best friends, and the revelation of the truth of their estrangement. When it came, it was at the very end of the book, taking place over just a few pages. It felt a little abrupt, and I would have liked to see more of an adult relationship developing between these two now quite different women. 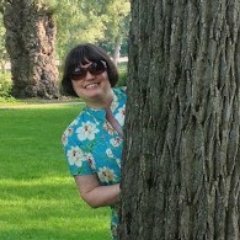 Sally (and the reader) is provided with the truth in what feels like a bit of a creaky plot move, as Sally runs across their old teacher Miss Button at her needlework conference. The facts of what happened are pretty clear to the reader much earlier than to Sally but I would have enjoyed seeing Sally and Rowena hash it out a little and come to a new friendship. Nevertheless, I very much enjoyed reading this one. I found the voice of the author and the quiet lives of our two protagonists absorbing and learned a lot as well, about needlework and about England in the 70s. Also, the cover is really gorgeous, embroidered by someone who has obviously read and loved the book. Recommended to anyone fond of English women's fiction, or who has the slightest inclination toward the Domestic Arts. Hi Melanie. So, I borrowed this book this weekend gone, and it was literally my 'weekend read'. Very light, very easy to read. My initial gut comment is that the end was not right - just too quick. Reminded me of the ending of 'Dance, Gladys, Dance' - just not enough after a fabulous 95% of book. Maybe I just have the wrong expectation. But I loved her description of emotion - and as she described the feelings Sally had about giving her presentation, right up to the moment of walking on the stage to talk, I felt were so spot on. I almost wondered if the author had every been in such a scenario. The the way the story reflected the 'peace' which Sally got from her needlework, and sitting at it. The moment of the rest of the world being forgotten. I often feel that way when I sit in my sewing area, even though I am no where near as productive as I would like to be - but to 'be in the moment' is like a big pause in thinking about things. An enjoyable read, and glad you gave a review. I am amazed at how many books you review which are also in my library in Tasmania. That's the perfect summary -- yes, the end just whizzed to a close, and didn't stand up to the rest of the book. But the peace of needlework (& I must say the gorgeous cover) were what drew me in.